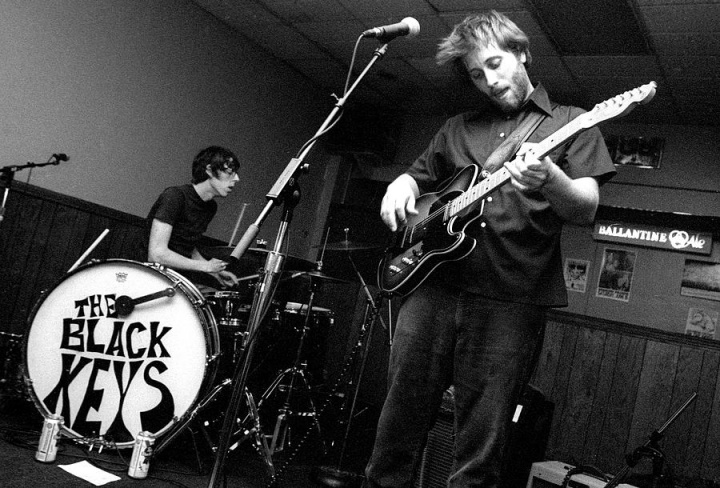 Black Keys singer Dan Auerbach is auctioning off his childhood guitar to raise money for the Akron-Canton Regional Foodbank in Ohio. The duo have been selling raffle tickets throughout their 2014 world tour for a chance to win the instrument, and now that they’re coming off the road for the holidays, you can still buy a raffle ticket online at tbkguitar.com until June 26th, 2015. A $10 raffle ticket helps provide 40 meals for the hungry while also giving you a chance to win the guitar, which has been signed by both Auerbach and drummer Patrick Carney. The Keys have been on the road all year in support of their eighth studio album, Turn Blue, which topped the Billboard album chart upon its release last May to become the first Number One album of the Keys’ 13-year career.